TRYOUTS. KC: T Pace Murphy. Chiefs kicked the tires on another offensive lineman. Chiefs announced they've signed NT Joey Ivie to the practice squad, and released rookie DT Dee Liner from the practice squad. and.... as usual the Chiefs defense looks horrid. The #Chiefs have released CB Keith Reaser after agreeing to an injury settlement. Buffalo has claimed OL Ike Boettger from Kansas City. Laurent Duvernay-Tardif has a fractured fibula but won’t be out the entire season, per Andy Reid. The #Chiefs terminated the practice squad contract of TE David Wells and added S Leon McQuay back to the practice squad. We signed free agent LB Frank Zombo. The Chiefs also tried out former Browns LB Nate Orchard and former Texans LB Gimel President. Orchard spent the first three seasons of his career with the Cleveland Browns. 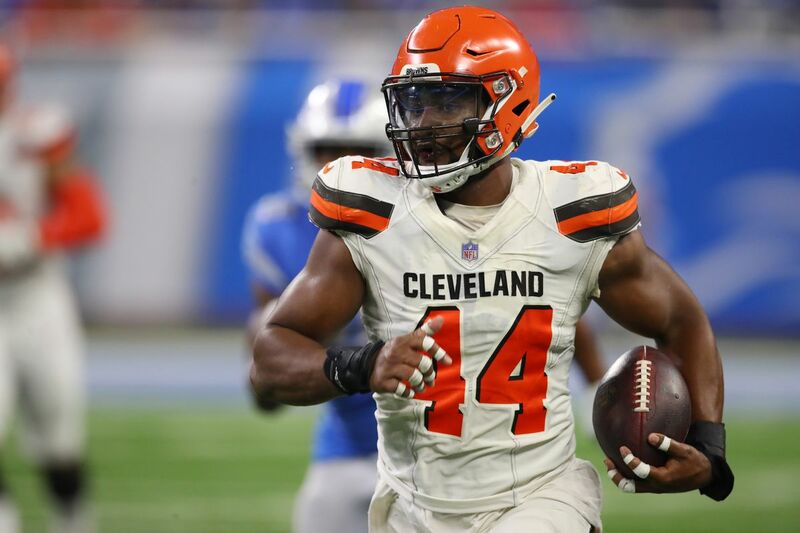 Photo by Gregory Shamus/Getty Images The Kansas City Chiefs have signed outside linebacker Nate Orchard, the team announced on its official Twitter account Wednesday morning. We signed free agent LB Nate Orchard. We signed TE David Wells to the practice squad. Orchard, 25, is a former second-round pick from the 2015 NFL Draft who spent the first three seasons of his career with the Cleveland Browns before briefly joining the Buffalo Bills earlier this year. Orchard has 69 tackles, five sacks, five passes defensed, two forced fumbles and one interception in his four-year career. The move makes a lot of sense given the injuries to Justin Houston and Tanoh Kpassagnon on Sunday. An NFL Network report said that Houston’s hamstring injury “could knock him out a few weeks.” Days later, Frank Zombo is back with the Chiefs and Orchard has been brought into the fold. Tight end Wells, who had been released earlier this week to make room for safety Leon McQuay, is back with the Chiefs. Chiefs sign Guard and former Chief Jeff Allen, Cut S Leon Mcquay.